Getting that one thing we have always wished for leaves us thrilled and ecstatic, and that doesn’t exclude a three-year-old girl. Little Madeline Dubois could not contain the excitement when her dream to ride a train came true. The toddler had always been interested in trains and anything that had to do with them, from mini toy trains to their long cars and loud horns. 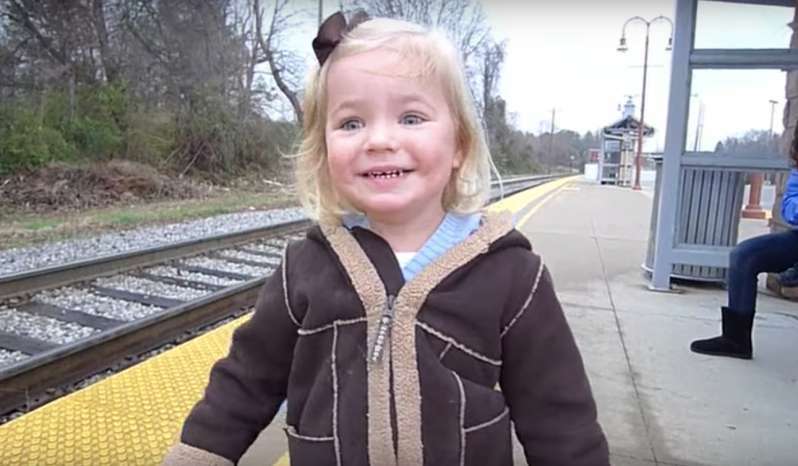 She used to see the tracks and would be fascinated, so she was just overwhelmed with joy when her dad took her to the local train station for her first train ride on her third birthday. We all get excited about somethings, and when you get that feeling, it's like you've somehow achieved nirvana. The purest form of this feeling was written all over Madeline Dubois’ face, and it might as well be contagious as the video will likely melt your heart. Thankfully, her daddy captured the delightful scene on camera. 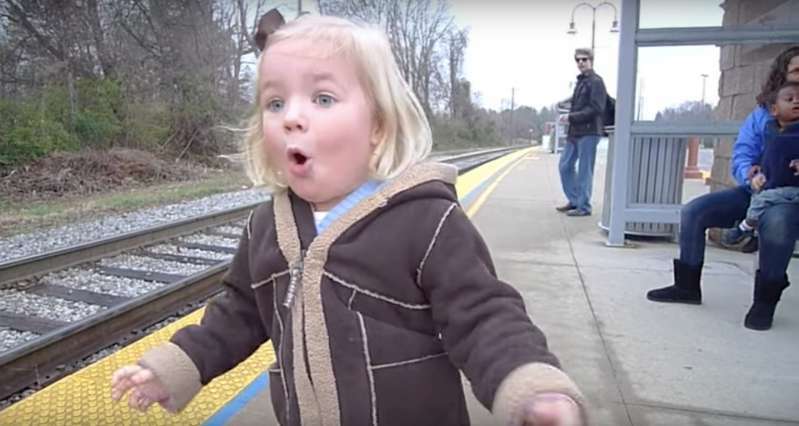 As the cute little Madeline saw the train approaching her face spelled astonished. Her smile grew even wide, and she couldn't keep her eyes off the train even when her dad told her to stand down as the train got closer. It was like love at first sight, her bliss was almost tangible, even her father had not envisioned that level of excitement. Although the video was posted on YouTube two years ago, it has gained popularity because of the honesty in Madeline’s reaction. According to her father, who did not expect anything of the video, his daughter Madeline is now five and is exploring her next childhood obsession. Madeline’s honest reaction to having her dream come true tells us all to appreciate the little things in life. Most of the time, it is exactly the little things that bring us joy, and we all need that to keep us going!